GM Services use "soft washing" as the preferred method of cleaning, walls, roofs, patio areas etc. 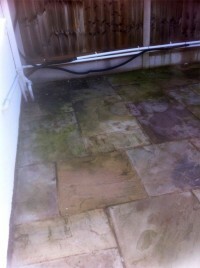 Soft washing will not remove paint, stone chips or plaster from your wall or remove the grout from between paving slabs etc. 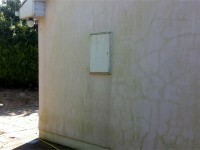 We will combine soft washing with power washing in some situations. Doing this allows us to clean more efficiently and with less pressure resulting in a better clean and less erosion of the surface being cleaned. We offer soft washing for domestic, commercial, industrial premises & public buildings, suitable for houses, offices, factories, golf clubs, schools, conservatories, cladding, walls, pathways, patios, driveways and car parks. Our Soft Washing is suitable for cleaning all types of surfaces such as cement, concrete, stone, brick walls, roofs, slates, tarmacadam, steel cladding, plastics and timbers. We use the most modern equipment to restore surfaces to their original finish in the most environmentally friendly way. 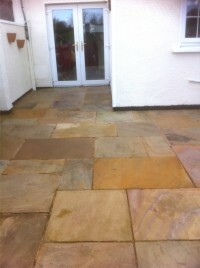 Contact G M Services, Cork, for a free quote for your professional pressure and soft washing requirements.